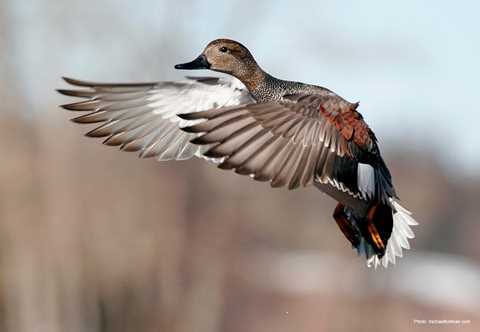 Gadwall breed near seasonal and semi-permanent wetlands, mainly in the grasslands and mixed Prairie regions of the United States and Canada. 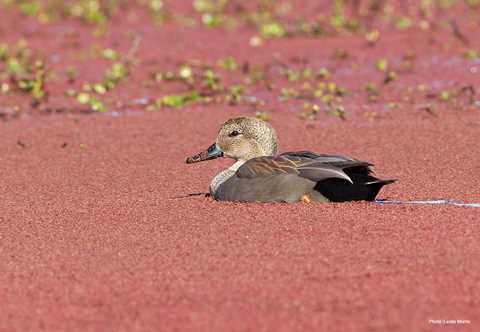 Substantial numbers also breed in wetland habitats of the Great Basin. 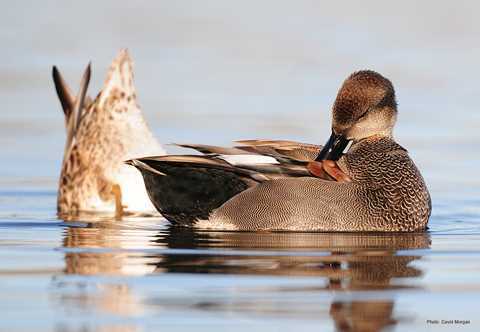 Gadwall tend to begin breeding later than most ducks. 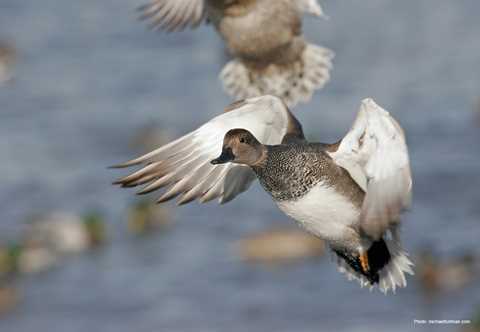 Female gadwalls nest in fields and meadows, and on islands and dikes in wetlands, and lay an average of 7-12 eggs. 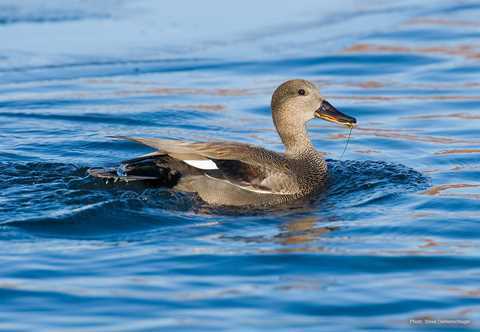 Aquatic vegetation makes up the majority of the gadwall's diet. 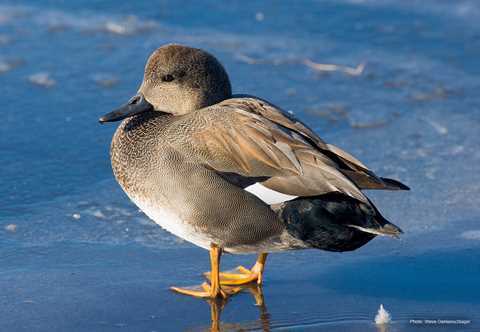 As a result, they are often found feeding far from the shoreline, in deeper water than most other dabbling ducks. Gadwall up-end to feed on leafy portions of pondweed, naiad, wigeon grass, water milfoil and algae, as well as the seeds of pondweed, smartweed, bulrush and spike rush. 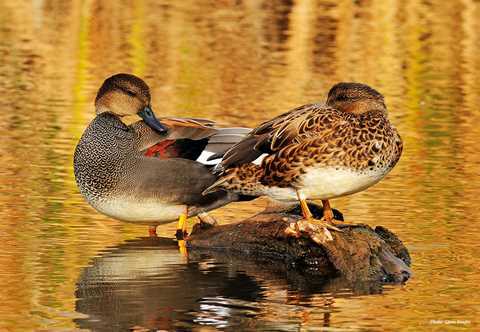 They also feed on aquatic invertebrates, such as crustaceans and midges. 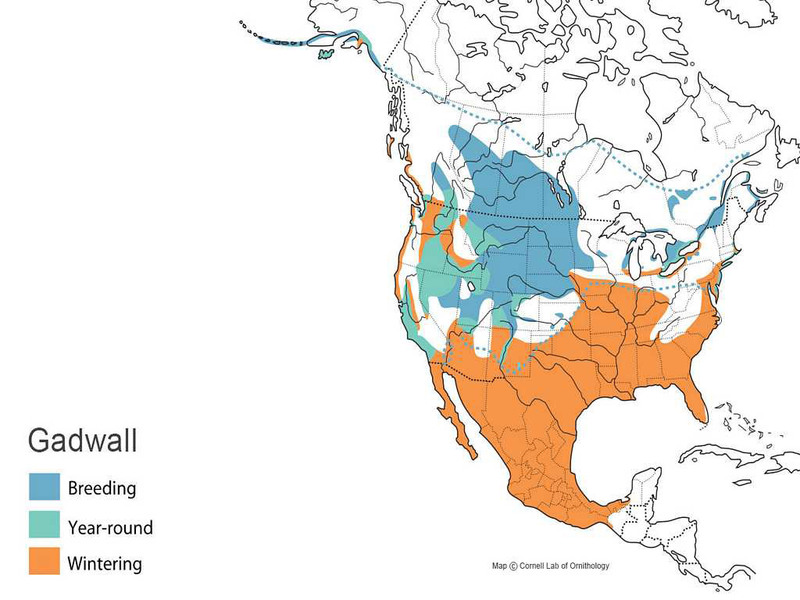 The North American gadwall population remained stable through the 1970s and early 1980s, while populations of other waterfowl species generally declined. 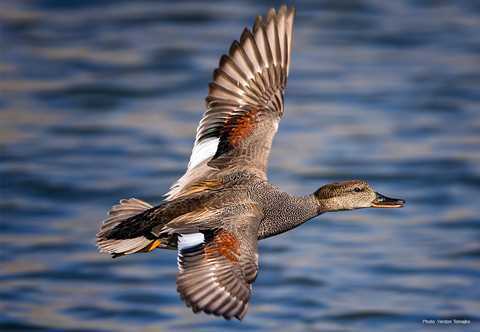 Since the late 1980s, the gadwall population has increased to record levels, with the most recent estimates nearing 3 million, due to improved wetland habitat conditions.